Immerse yourself in the fragrances and colors of thousands of candles all handcrafted in our store. 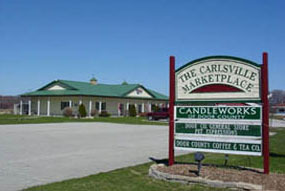 Shop and explore one of the Midwests largest selections of candles and accessories. Summer hours: Monday-Saturday 9am-5pm, Sunday 10am-4pm. Winter hours: (January-April) Fri, Sat, Sun, Mon 9:30am-4:40pm. Closed Tuesay-Thursday.